The other day, my friend and colleague Jay Gambetta (who leads the theory and software teams in IBM Q, and who the MIT Tech Review referred to as a “tall, easygoing Australian”) told me there are now over 60 research publications written by members of our extended community, who used the IBM Q Experience and QISKit for their research. I was completely inspired and impressed by this. When we put this online less than two years ago, we had no idea whether people would use it or what they would use it for. Now we do. I just want to share a quick summary of five very cool research papers that I think exemplify our extraordinarily talented community. This paper unifies two features of quantum mechanics into a single relationship: one, quantum uncertainty, and two, quantum entanglement. Their work shows how to quantify the disturbances caused by quantum measurements, and incorporate this information into EUR-QSI (entropic uncertainty relation with quantum side information). The quantification defines absolute limits on the uncertainty of any quantum device – not just IBM Q devices. The “repetition code” is an important component that will make up future quantum error correction schemes. 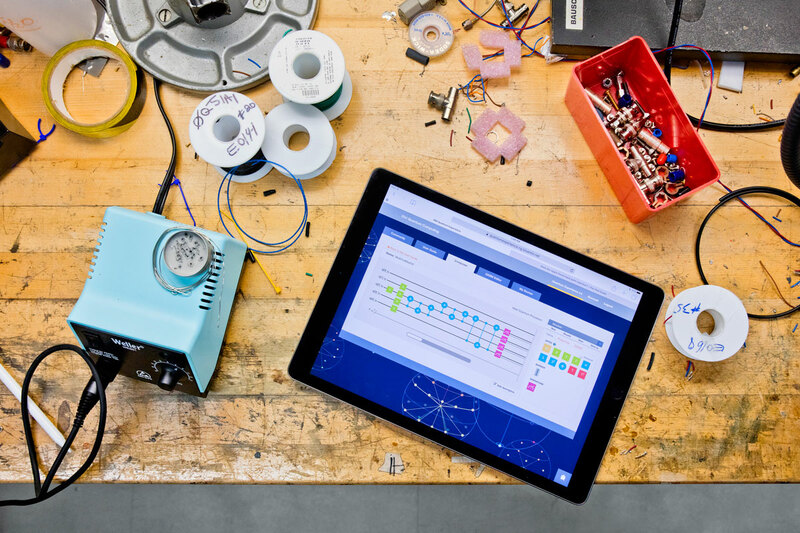 This work implements repetition codes of up to 15 qubits using the 16 qubit device on the IBM Q Experience. It showed strong experimental evidence that supported existing theory of what is expected and required for the development of fault-tolerant quantum computers, and also gave insights into the nature of noise in the system and identified relaxation as having a dominant effect. Multi-qubit entanglement is an important part of how future quantum devices could potentially solve problems intractable for classical computers. This team reported, as they put it, that “the entanglement is genuine” for up to 16 qubits on the IBM Q Experience device, setting a new record for the number of genuinely entangled qubits for both superconducting circuits and trapped ions systems. For people to use quantum hardware, they need to be able to translate the experiment/circuit they are trying to run onto the hardware that is actually being provided. This can be complicated by experimental constraints, like the fact that higher-level functionality needs to be broken down into whatever operations are supported on current systems, and the fact that certain operations can only be applied to some of the qubits. Users need to adhere to these constraints and run experiments using as few gates as possible, since every gate increases the potential for errors and prolongs the algorithm’s run time. This paper presented an efficient, generalizable way to automatically run this translation process, mapping the user-defined functionality to an experiment that satisfies all the constraints and minimizes the number of gates used. For many quantum circuits, it works within five minutes (and within a fraction of a second in most cases). They’ve also integrated their work into QISKit. This paper reports quantum simulations of the binding energy of deuteron (the bound state of a proton and a neutron), run on quantum processors accessed through the cloud. 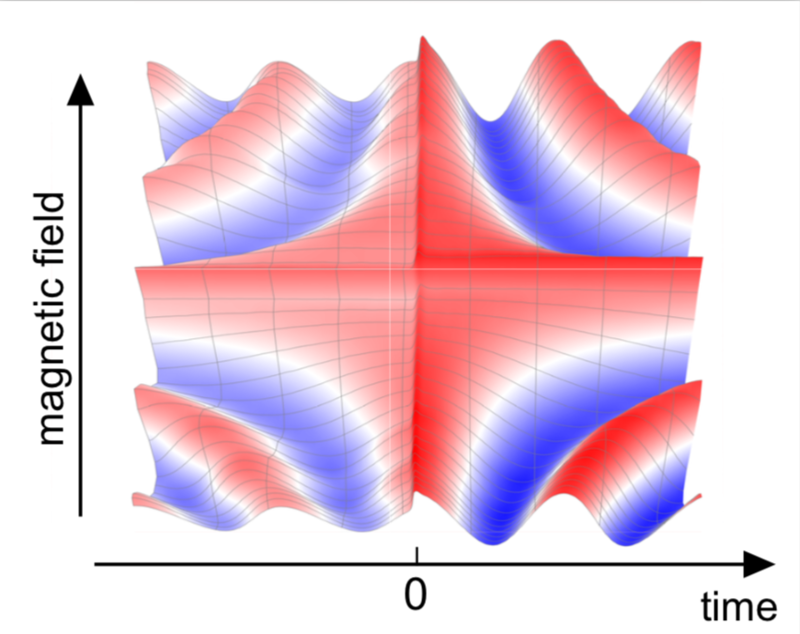 They show how to adjust the way they set up the problem and their computational approach based on experimental realities, like limited qubit connectivity and circuit depth (the number of sequential operations before noise drowns out the signal). The team was able to compute the binding energy to within a few percent, which serves as a great early step towards scalable nuclear structure computations using quantum processor in the cloud. These papers, and the other 55+ that leveraged the IBM Q Experience, really struck me for three reasons. 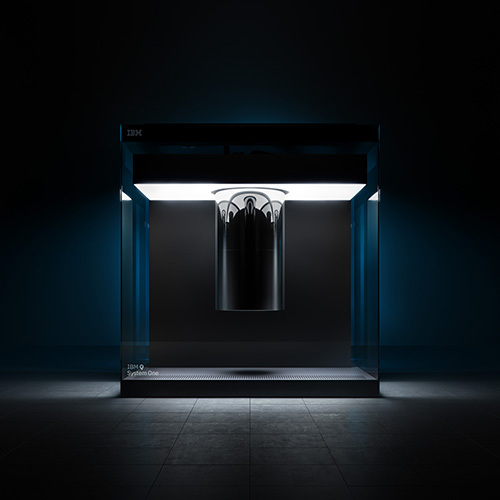 Two years ago, there was no IBM Q Experience – in that short time, it has become a vital tool for quantum research. The diversity of the research being done using this platform is amazing; you can see it from this small excerpt of papers. They are about all kinds of things! It goes to show that given the same tools and resources, people will find an enormous diversity of creative things to do! This milestone is further evidence that the rate of progress in the field of quantum information science is accelerating, and the more we can work together and share tools and expertise, the faster the field overall will move forward. One thing is for sure: we are all better off when we collaborate to advance this field together. So, here’s to you, IBM Q Experience community, for everything you do to advance the field of Quantum Information! Hope you see many of you at THINK 2018 in Las Vegas! To find the full set of papers written by our extended community, visit this page and select Q Experience community papers from the drop-down menu.